Esterol 142 is a fatty ester derived from natural oils that has excellent solvency properties, is readily biodegradable and has low toxicity characteristics. CHARACTERISTICS: ESTEROL 145 is a pale yellow oily liquid with a pleasant fatty ester odour. ESTEROL 145TM as a fatty ester has excellent solvency powers and hence can easily be formulated with a wide range of oils, surfactants and oils soluble materials. Based on Canola oil, its fatty acids are predominantly oleic which results in liquid product which is oxidatively stable, nonvolatile and readily biodegradable. Fatty esters are suitable as low hazard replacements for aromatic or petrochemical solvents. Low toxicity means that it poses a low health and safety risk for users. Readily Biodegradable means that it will have a low environmental impact. Excellent solvency properties can provide formulators with replacements for petroleum derived solvents. High lubricity and low volatility characteristics can provide the properties required of oily bases in specialised lubricant products. When stored indoors at temperatures below 40ºC and in closed original containers, this product can be stored for at least 1 year. 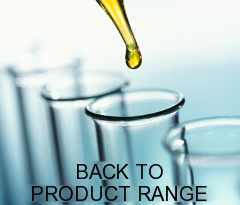 Refer to MSDS at www.vicchem.com for further information.